Spending 2014 and most of 2015 at Sandringham, Holmes played the ruck in St. Kilda’s final three games of season 2015 (debut—rd 21 vs Geelong, a 97-97 draw) and in the last two matches in 2016. 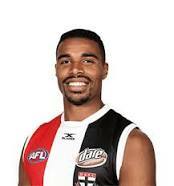 Having to either be delisted or elevated, Holmes signed a one-year extension through 2017 after running through his three-year rookie deal. Last season Holmes got caught in a numbers game, as Billy Longer established himself as primary ruckman for the Saints and Tom Hickey and Lewis Pierce also battled for a spot. Rowan Marshall also was in the mix, creating a logjam. Holmes saw no action at the parent club in 2017 and the club delisted him at the end of the season. This was a case of role reversal, as Holmes had previously held down the #1 ruck spot at the Zebras, forcing Hickey and Pierce into other roles. For season 2018, Holmes is committed to playing with Old Xaverians in the Victorian Amateur Football Association. VAFA A Grade Amateur football is the ideal pathway to continue playing a high level of competitive football but does not have the time demands of professional sport. 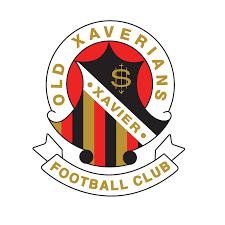 From the OXFC site: “We warmly welcome Jason to the Old Xavs. We know he will fit in well with his new teammates and our club. We can see him becoming a real cult hero at Toorak Park. To say the least, his size, energy and enthusiasm will all be real assets at stoppages," club President Matthew Cosgrave said. Jason is a 202cm (6’8”) athletic ruckman which was a role that Old Xaverians were looking to fill. He brings an energy and enthusiasm to the group along with some great leadership skills and experience. All the players have welcomed Jason into the club and Jason has reciprocated, club Vice President Matt Hannebery said. “Jason was 28 years old and was starting think about life after professional sport. He was also keen to remain in Australia with his partner. Jason came to the attention of Old Xaverians FC via his manager, Nigel Carmody from TLA Worldwide,” Hannebery said. Hannebery also said Holmes finished studies in the financial planning industry and the club was able to find work with Honan Insurance Group, one of Australia’s largest independent insurance brokers with offices in all states of Australia, New Zealand and Singapore. Jason is the key Honan’s representative within the St. Kilda Business Network. Holmes and his mates at OXFC open VAFA play on April 7 against Old Trinity Grammarians. The skillset required to play Gaelic football translates well to Australian ovals. Bouncing a similarly-shaped ball, hand passing and kicking are but a few of the talents required to be successful in either game. So in the early 1980s clubs from the old VFL started scouting players in Ireland. one point for kicking it through the uprights above the goal. Sean Wight was the first Irish recruit, playing 150 games along the back line for Melbourne from 1984-95. Jim Stynes followed soon after, winning a Brownlow Medal in 1991 as part of his 264-game career with the Demons. Stynes was All-Australian in ‘91 and ‘93. The Irish Experiment was a little more hit or miss through the 90s before Tadhg Kennedy broke through with Sydney from 2001-11, winning a Premiership in 2005 as part of a 197-game career with the Swans. Kennelly’s success on grounds brought the same level of interest in Irish players in the AFL in the mid-2000s but interest soon ebbed once again as the hit-or-miss nature of foreign recruitment seems to have soured some clubs. Sometimes it was just a case of homesickness as players realized they were three continents and 17,000 km (10,600 miles) away from home. This season there are five Irish players on AFL senior lists, led by Zach Tuohy’s 145 games with Carlton and Geelong, and the 142 games of Pearce Hanley, who is in his second season with Gold Coast after nine years with Brisbane. In 2008 fellow Irishman Colm Begley served as Hanley’s mentor at the Lions, undoubtedly smoothing the transition to AFL footy. 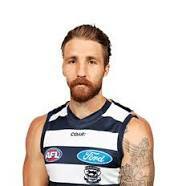 Begley played 30 games with Brisbane and St. Kilda before returning home to play Gaelic football. Conor McKenna has 10 goals in 33 games with Essendon, and Mark O’Connor has played in two games for Geelong, with a debut in round 8, 2017. Ciaran Byrne of Carlton has 15 games under his belt but spent 2017 in rehab after tearing an ACL. Six Irish players on rookie lists. Hawthorn features Conor Nash and Conor Glass, who played six games last year. For St. Kilda it’s Darragh Joyce and Ray Connellan. Carlton shows Cillian McDavid and Colin O’Riordan wears a Sydney guernsey. While the situation certainly varies as to the recruitment and success of Gaelic players in the AFL, there are two different variables this time around. The International Rules series tournament brings Irish players Down Under for a chance to be scouted and to play against the world’s finest amateur sides. Additionally, the interest level may be higher with the new AFL women’s league which includes Melbourne’s Laura Corrigan Duryea via Diamond Creek. So it seems like the more places I look in sports, the more it feels like league officials simply went into ‘settings’ on their video game and changed things up to make things more interesting. Football moving to an overtime format that allows both teams to touch the ball unless the first team scores a touchdown. Don’t get me started on the challenge system. Hockey going to a shootout after a five-minute four-on-four overtime—did you see in the Olympics they went to three-on-three? Wow. I’m definitely one of those old-school “you kids get off my lawn” kind of guys when it comes to things like this, but it’s probably helpful. 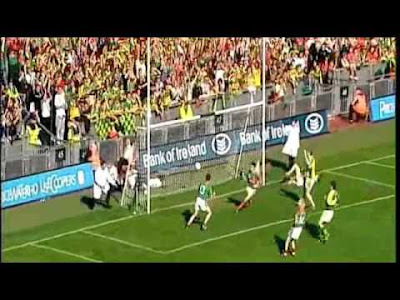 It moves the game along, keeps things interesting, and lets the fans go home knowing there was a definite winner. It also reduces the chances of these marathon OT hockey playoff games of yesteryear, since it’s possible players are in 60-minute shape and not five-overtime shape. With that as a backdrop, I present AFL X, a new thing the league is rolling out to generate interest in the preseason, which is still about three weeks away. 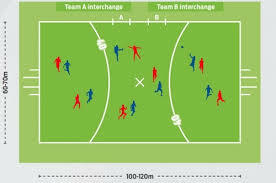 AFL X is played on a field about the size of a soccer pitch, with seven players on the field per team. If a player kicks a goal from behind that 40-meter line, it’s a 10-point goal accompanied by a brief pyrotechnics display. Whatevs. Two halves of ten minutes each, kick ins after any scoring shot, and no center bounce to let players catch their breath. Three players (for a total of 10 per side) are on the interchange bench and substitutions are unlimited. This is a fast-paced game and the players get a pretty good workout. They’re running the equivalent of a 5K during the run of play, but they sure seem wiped out when the half starts winding down. Fewer stoppages means fewer chances to catch your breath. Greater emphasis seems to be placed on passing and accuracy, as opposed to ball pressure and tackling. It sure seems like the guys in creative went crazy with the brainstorming session, and I’ll admit it was a challenge for me to watch the vids on YouTube. You know, the whole, “why can’t you guys just play the regular game” bit. Perhaps it’ll grow on me as the grand old game has. But the X looks like fun and it generates a little more buzz. Highly doubtful it’ll ever replace anything, but it does mean more people can play, thus it gets more people interested in rec leagues or wherever they play. You kids go on, have your fun. I’ll just sit here on my porch. Athens, via Tuscaloosa, Manhattan, Clay Center, Lubbock, Levelland, Lubbock (again), Pearl Harbor (and points beyond), and El Paso. A long and winding road, indeed.